Includes 3 lyric video versions (Original Audio, Instrumental, Split Track) and hand motion demo and tutorial for 7 songs, a total of 35 videos. All videos are available for download in high quality, digital HD format. Also includes public performance license for public viewing. 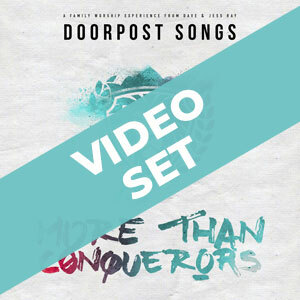 Optional DVD add-on includes lyric videos and hand motion demos for 6 songs. Only additional cost for DVD add-on is shipping cost. Don't need a public performance license? Get family pricing!